IHG® Rewards Club - Música - Z.C.C. 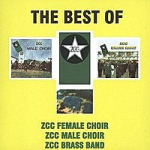 - The Best Of Z.C.C. Otra música por artista Z.C.C.